If you are in the Seattle area, we invite you to visit our store. We carry more items in our store than we are able to show in either our print or online catalogs. The store is located with our office and warehouse facilities in Bothell, Washington, just off Interstate 405. Our hours are 9:00 a.m. to 5:00 p.m. Pacific Time, Monday through Friday, Saturdays in November through December 24. We are closed major holidays. We can be reached by email at [email protected]. east of I-405 there is a traffic light. Turn left (north) at this light onto North Creek Parkway North, entering the Parklands North Creek Business Park (formerly Schnitzer North Creek Business Park). Follow North Creek Parkway as it goes north for 1/4 mile, then as it swings east, for 1/4 mile. We are located on the left, in a group of white buildings at the north east corner of the Park. 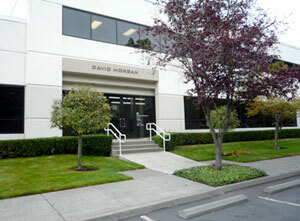 We are in a front building, 11812, Suite 103, with our name, DAVID MORGAN, above the door. Follow Lake City Way into downtown Bothell. At the main light in Bothell, go straight on to Main Street. Continue on this road, which turns into Beardslee Blvd. then curves right into NE 195th Street at the I-405 overpass. One block east of I-405 there is a traffic light. Turn left (north) at this light onto North Creek Parkway North, entering the Parklands North Creek Business Park (formerly Schnitzer North Creek Business Park). Follow North Creek Parkway as it goes north for 1/4 mile, then as it swings east, for 1/4 mile. We are located on the left, in a group of white buildings at the north east corner of the Park. We are in a front building, 11812, Suite 103, with our name, DAVID MORGAN, above the door. Directions can also be obtained from Google Maps.